We'll be posting updates to our project every couple of days. Last weekend we traveled to the historic New York Hall of Science to present Mechanek at MakerCon. Our presentation was part of the Makezine: Pitch Your Prototype Challenge. Mechanek won Grand Prize! Makezine wrote an article about our success in the Pitch Your Prototype challenge, and even did a quick interview. Voting has started for the Cornell Cup Media Award - please vote for Team Mechanek! The mechanical side of Mechanek has been done for a few weeks, but we just recently finalized the packaging of all the electronics. The control box has three functions :  Sensing,  Computation and Processing, and  Actuation. Coming in to the box is data from the OBDII port of a car. This data can include information used to detect crashes such as wheel slip, throttle and brake position, and accelerometer values. 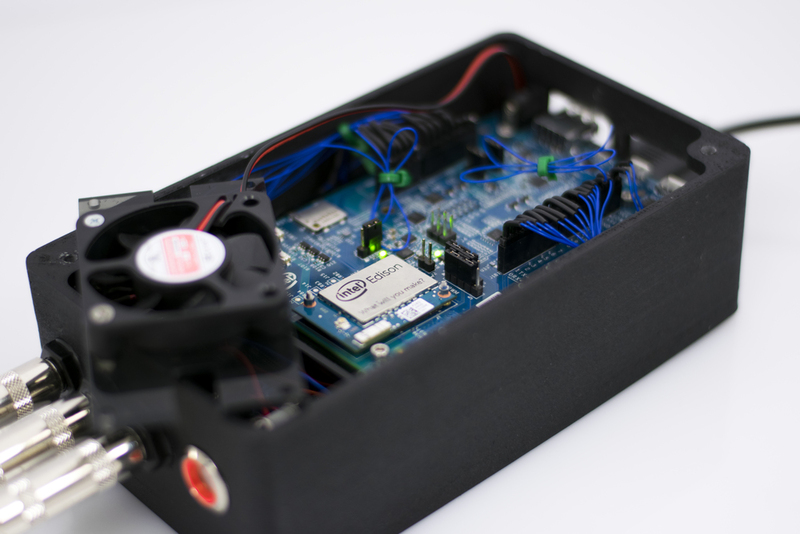 The Intel Edison processes this data to determine whether a crash is happening, and outputs motor control and solenoid control signals to the Mechanek device.